Are you looking for slippers that are just a little different? Then these slippers in a classic clog form are for you! 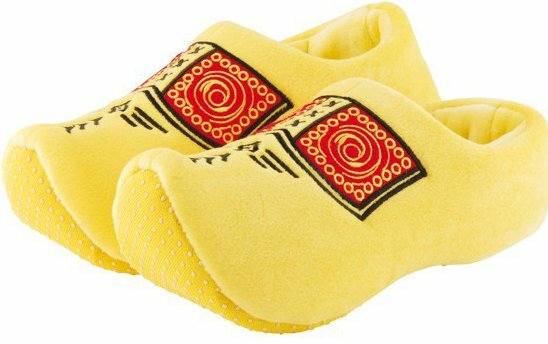 These yellow clog slippers keep your feet lovely and warm and are fitted at the bottom with non-slip pads to prevent slipping Because these clog slippers are available from size 16 to 47, you have Dutch domesticity for the whole family sorted out! Bought as a gift for my partner who really likes wearing them. Well made and very comfy too. I recently ordered a pair of cloggs for my son. Product arrived very quickly and is of very good quality. Would definitely recommend. Great service! Look great fit well and are comfy. When they were out I will buy them again.